Early morning you can visit Wayanad sightseeing. After breafkast depart for Ooty. 115 Kms – 3 Hrs. On arrival check in at the hotel. Evening free at your leisure. Overnight at the hotel. Morning you go for a half-day excursion of Coonor. Visit the local sights in Coonor & the Tea Gardens. Afternoon back to Ooty and Evening will be at your leisure. Overnight at the hotel. Morning after breakfast visit local sightseeing of Ooty includes Botinical Garden, Rose Garden, Dodabetta Peak, Tea Garden and Tea Museum. 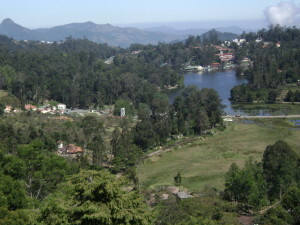 Later in evening free at Ooty Lake take boating – on own. Overnight at hotel. Morning depart for Mysore Bandipur. 135 Kms – 3 Hrs. Afternoon sightseeing in Bandipur reserve. Evening leave for Mysore. On arrival check inn at hotel. Overnight at the hotel. Morning depart for half-day excursion to Srirangapatanam and visit Palace of Tipu sultan. Later in the afternoon visit the local sights in Mysore visiting the Mysore Palace, Chamundi Hill & the church. Evening visit the Brindavan garden to witness the musical fountain show. Overnight at the hotel. After breakfast local sightseeing of Bangalore visiting the Cubon Park, Lalbaug, Bull Temple, Vidhan Soudha & High Court. Evening free at your leisure. Overnight at hotel. After breakfast depart for Airport and drop at airport for onward travel.